Director Don Siegel Recalls the Making of "Flaming Star"
The Making of "Flaming Star"
Between 1945 and 1981, Don Siegel directed 35 Hollywood feature films. Flaming Star in 1960 came right in the middle of Siegel’s career and closed out his most prolific period in the late 1950s. 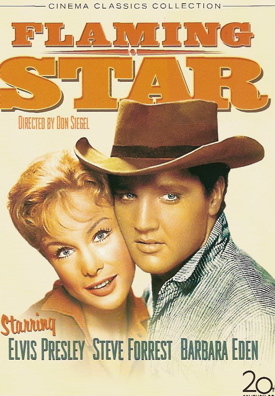 While not considered one of filmdom’s A-list directors, Siegel brought a workmanlike reputation to the 20th Century Fox project with Elvis Presley in the marquee role. 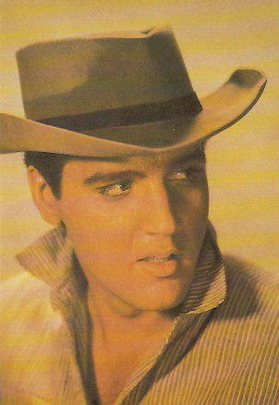 He even had some experience with a teen idol, having directed Fabian in Hound Dog Man the year before. Two years after his death in 1991, Siegel’s commentaries on his films were collected into A Siegel Film: An Autobiography. The book was divided into chapters for each of the director’s films, with Chapter 21 being devoted to Flaming Star. The following information comes from that volume. Nunnally Johnson, one of the industry’s most respected writers (The Grapes of Wrath, The Three Faces of Eve), wrote the original screenplay with Marlon Brando in mind for the role of Pacer. (“Incredibly, it became a vehicle for Elvis Presley,” Siegel commented.) The script was based on a novel by well-known Western writer Clair Huffaker. After reading the screenplay, Siegel sensed problems and felt the need to have a “straightforward chat” with producer David Weisbart. Siegel couldn’t see how Elvis could sing rock songs, or any kind of songs, after the emotional experiences that filled the script. He decided to plead with Weisbart for minimal music in the film. 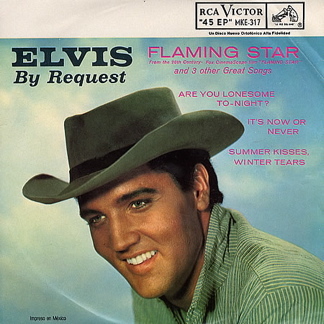 “There’s no question that Elvis can play the part well,” admitted Weisbart, who told Siegel he would try to convince the front office that Presley’s singing needed to be severely limited in the film. If the executives rejected the idea, Siegel agreed to move forward with a music-filled script. Siegel then brought up his concerns about Steele’s height and English accent, but McLean wouldn’t budge. “Why the big fuss about her?” Siegel asked. “Because I think she’s perfect for the part,” McLean declared. “What about the studio?” Siegel probed. “They love her,” asserted McLean. “Literally?” implied Siegel. A week later, Siegel and Weisbart watched the test Owen had made with the actress. “Miss Steele had blonde hair, a slight stoop and a Western accent straight from Birmingham,” Siegel recalled. “When we demurred, we were told that the studio had already made an irrevocable decision. Miss Steele was playing opposite Presley.” Weisbart was particularly upset. “My God! We’re dead,” he declared. Siegel was fatalistic. “Let’s start the picture, do our best and see what happens,” he suggested. When filming began at the studio ranch in Malibu, the director was very pleasant with Steele. “I liked her personally,” Siegel explained, “but her woeful lack of experience and strange Western accent, plus her height, proved her undoing. I tried to help her, despite some strange looks from Presley.” Weisbart and Siegel decided to run the dailies for the studio execs and let the film speak for itself. It worked. The next day the Fox moguls dumped Barbara Steele from the cast. Two days later Barbara Eden showed up on the set. “There was no question that she would give an excellent performance,” Siegel noted, but one thing bothered him about her role. 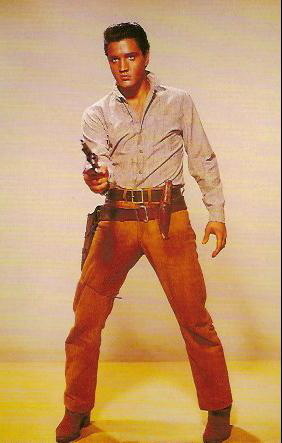 As evidence of Presley’s acting ability, Siegel recalled a difficult scene in which Elvis was supposed to try to kill a doctor who arrived too late to treat his mother. The scene ends emotionally with Elvis declaring his long concealed love for Barbara Eden’s character. 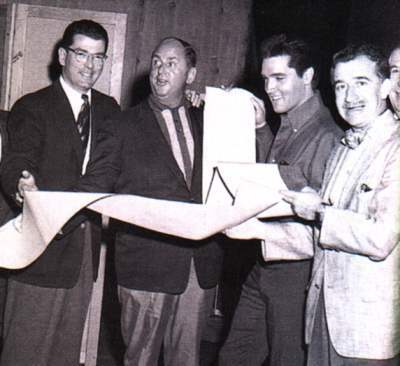 Siegel explained how he coaxed Elvis into the scene. Don Siegel’s most noteworthy directorial work came in the 1970s. He worked with Clint Eastwood on Two Mules for Sister Sara (1970) and Dirty Harry (1971), and was at the helm for John Wayne’s final film, The Shootist (1976). "Siegel couldn’t see how Elvis could sing rock songs, or any kind of songs, after the emotional experiences that filled the script."